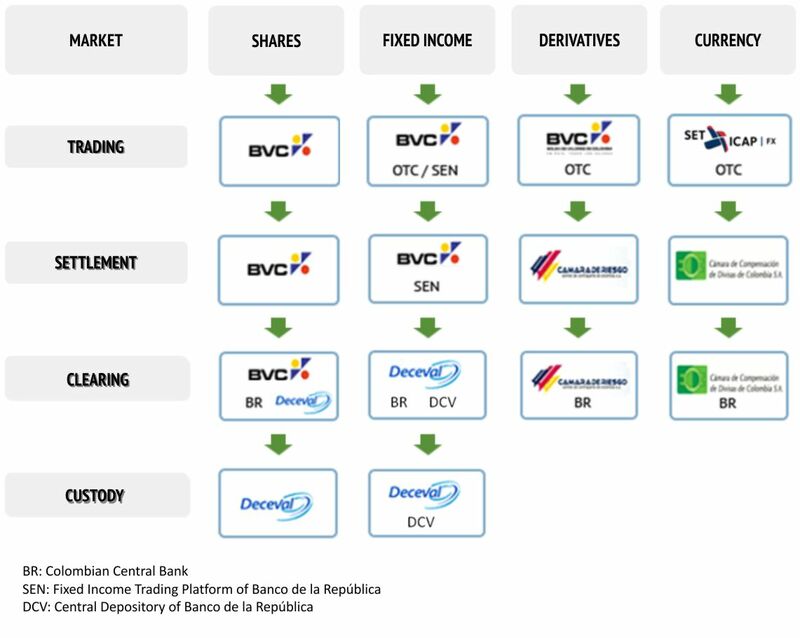 Bolsa de Valores de Colombia (BVC) is a multi-product Exchange created in 2001 as a result of the merger between the Bogota, Medellin, and Occidente Stock Exchanges. BVC has drawn from the experience and tradition of more than 80 years of stock market history in Colombia. BVC has been a listed company since 2007, with 18.7 billion outstanding shares, 85% free float, and more than 200 shareholders. BVC manages the trading platforms for the equities, fixed income, and derivatives markets; and through subsidiaries which have been created as a result of strategic alliances with other companies, it also operates the energy commodities and foreign exchange markets in Colombia. Strategically, BVC is the largest shareholder of companies that are part of the whole value chain in the Colombian capital market; its main purpose being to increase the number of products through strategic alliances in Colombia and abroad, thereby creating value for its shareholders. 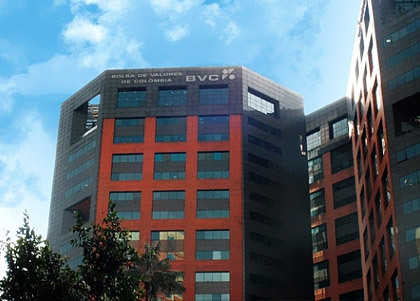 BVC supplemented its strategic planning with broad foresight, with respect to business development in accordance with the objectives of internationalizing the Colombian securities market, developing the value chain, and becoming a high-recall company with close and loyal customer relationships. In terms of international leadership, BVC is a member of the Latin American Integrated Market (MILA), together with Bolsa de Comercio de Santiago, Bolsa de Valores de Lima, and central securities depositories from the three countries. 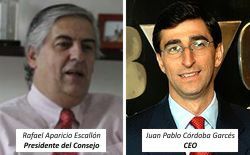 BVC actively participates in industry forums, it is a member of the World Federation of Exchanges (WFE) and it is currently serving as President, and the Ibero-American Federation of Exchanges (FIAB) and it is currently serving as President. For the equity market, BVC trade settlement is performed on T+3 through the central securities depository DECEVAL. For the fixed income market, settlement is performed on T+0 through central bank Banco de la República, and central securities depositories DCV and DECEVAL. 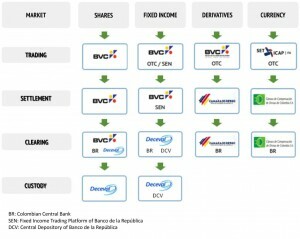 Bolsa de Valores de Colombia has a Central Counterparty mechanism available for derivatives and foreign exchange markets. For the derivatives market, settlement is performed on T-date through the CCP clearing house Cámara de Riesgo Central de Contraparte (CRCC). For the FX market, settlement is performed on T+1 through the Colombian foreign exchange clearing house Cámara de Compensación de Divisas de Colombia (CCDC). * Year of merger between Bogotá, Medellín and Occidente Stock Exchanges, forming Bolsa de Valores de Colombia. BM&FBOVESPA – 2011 - Memorandum of Understanding for interconnected work in Shares, Fixed Income and Derivatives. TMX-TSX – 2012 - Memorandum of Understanding to share information between Exchanges from Colombia and Canada.